For one day each summer The Place is filled to the brim with brilliant shows and activities for children aged 0 – 10 years and their families to enjoy. Tickets are only £3 per activity and £8 for a show, plus there are free drop-in activities running through the day including Beetlebuns (interactive installation), family bingo, live DJ and Brazilian Band, performances by Company Decalage and Shift youth dance company, outdoor picnic area, chill-out spaces and much more. This year the programme includes activities that you can bring your very little ones to including baby salsa with Edurne Goldaracena and Baby Yoga with Anouska Anderson. For the slightly older ones storyteller Charlie brings Shakespeare’s A Midsummer Night’s Dream to life, Doodle Dance is a chance to get drawing and storytelling with Tom Roden and Anna Williams, improvise with Rick Nodine, get on your belly for some Floor Swimming with Hagit Yakira, or try hip hop with Mickael Marso Riviere, or contemporary circus with Clement Dazin. There are two dance shows that are repeated at different times in the day. Meeting Mr Boom! explores a magical bouncy inflatable land (for ages 0-6 years), and Bouncing Cats and The Boom Boom Pups is an immersive, high-energy and fun packed adventure set within a purpose-built graffiti installation that brings to life an original children’s story interwoven with freestyle hip-hop (for ages 4-10). The Place has a free buggy park on the day of the event along with fully accessible changing facilities and water fountains. The café is open to all and offers a reasonably priced, tasty menu for kids and adults, but you are also welcome to bring your food and drinks and enjoy the ambience of the space. 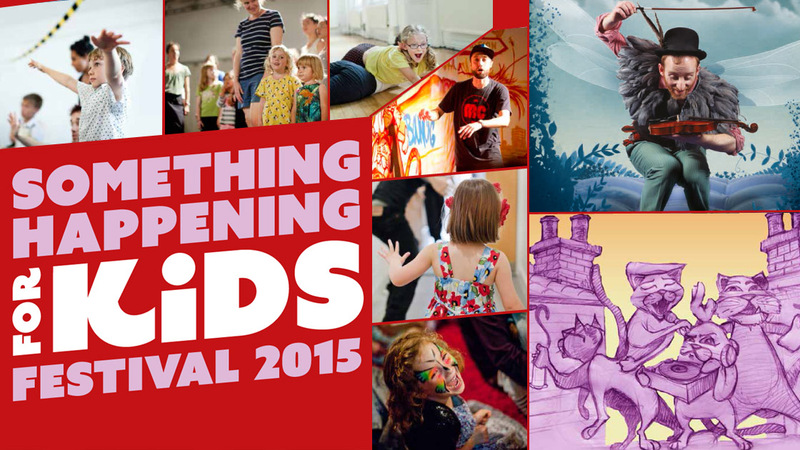 Something Happening for Kids is a day fun-packed with dance and physical activities. We recommend that you wear loose comfortable clothing. Meeting Mr Boom! and Bouncing Cats and the Boom Boom Pups cost £8 per person, or £28 for a group of four. Each activity costs £3 per person.